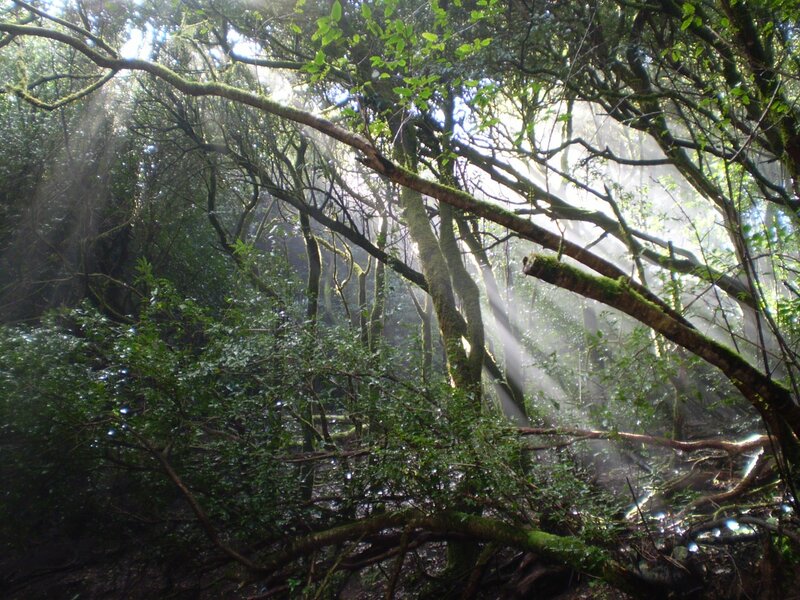 For years more and more hikers have enjoyed the varied mountainous scenery of the Canary islands. 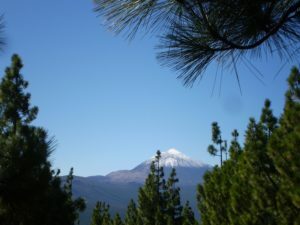 The different altitudes of vegetation and climate make the diverse flora and fauna unique in the world, with over 670 endemic species. On adventurous tracks off the beaten path you have enough time to discover the beautiful views and learn about this distinctive wildlife. 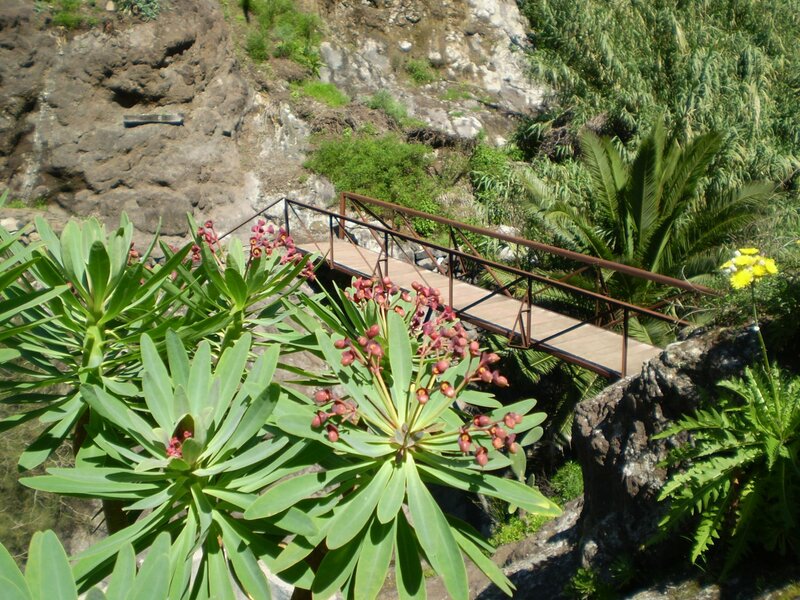 You will never be bored with the secluded mountain villages and old goat trails, miles of water channels with ancient “Galerias”, steep mountains, deep and impassable “Barrancos” (ravines), volcanoes and basalt peaks, the so-called “Roques”, as well as humid, evergreen and fragrant forests. 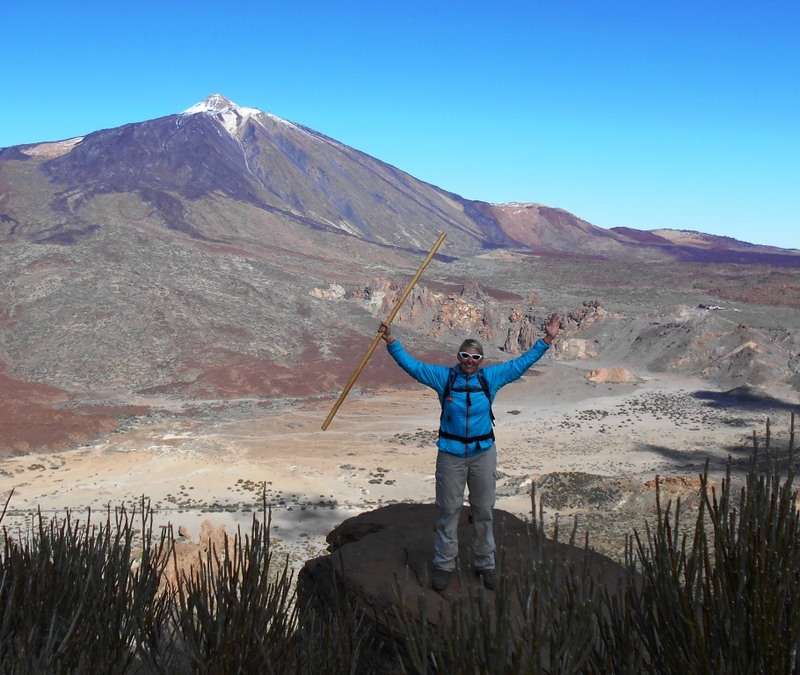 We show you routes that no one else offers, because our focus is on challenging, adventurous and energetic hiking. Excellent fitness condition and experience is essential to enjoy the most beautiful and interesting routes safely as you hike along dizzying cliffs, through dark tunnels and twisting water ways. Easier hikes are available on request and in closed groups. 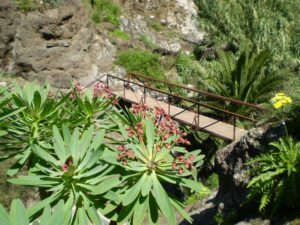 The hiking terrain is similar to that of the biking tours, which in the Canaries is very alpine-like, ie rocky and mountainous. 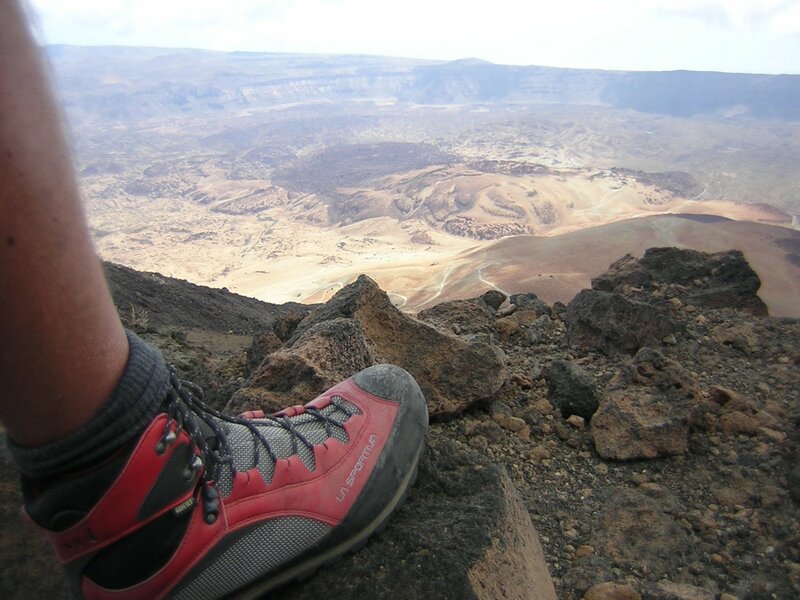 With a good basic physical condition, sure-footedness on uneven ground and a head for heights these tours are available for everyone and are classed as medium to difficult. Due to the increased risk of danger in the mountains you should have a good international health insurance which covers such sports activities. Participation on the tours is at your own risk. The organizer and bike guides cannot accept any liability or assumes no responsability for the consequences of self-inflicted accidents. 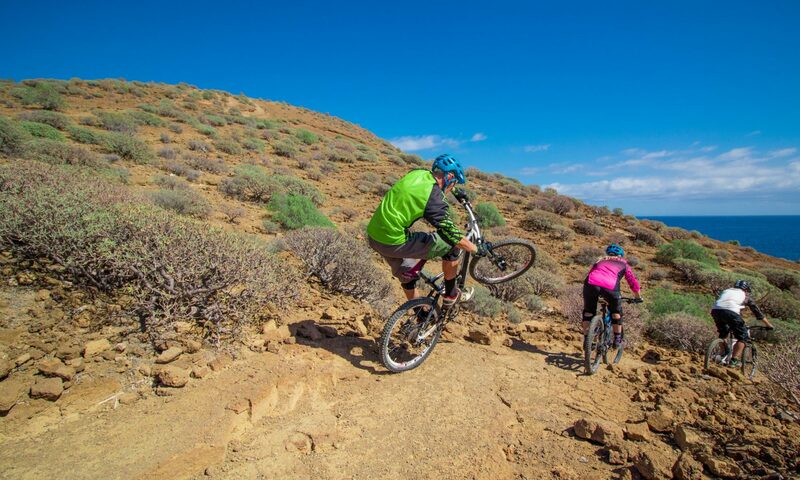 Registration should be done in good time by email or telephone or can be reserved when in Tenerife. Program and tour changes, due to bad weather or other unforeseen circumstances, are at the discretion of the guides and organisers. Due to the variety of our tours, send us a query with your interests and we will send you a choice of treks suitable for you. Impressive hike onto the top of the mountain from Vilaflor to warm up and acclimatise. 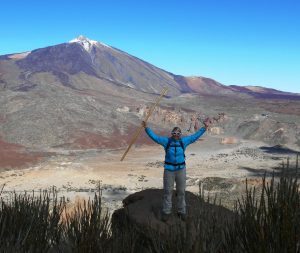 At the start point at 2000m above the clouds the air is already significantly thinner and short rock climbs on the plateau of the “sun hat” will put sportsmanship and fitness to the first sample. As a reward enjoying grand views over the entire south of Tenerife during a picnic and after that the best view of the “Pico del Teide”, which the locals affectionately call “Papa Teide”, at 2500m altitude along the crater rim. Only 3-4 hours of walking at 7km and 500hm uphill and downhill. For Adventurer and “cavers”! On this long journey through many dark tunnels, water flooded “Galerias” (water galleries) and narrow water channels you will definitely not be bored. 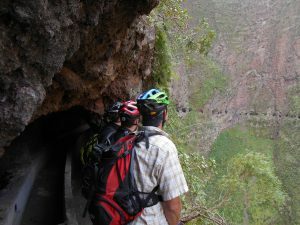 Headlamps and flashlights facilitate narrow tunnel crossings along steep rock walls. Due to the low ceiling height some narrow tunnels must be bent and passed with helmet, but numerous breakthroughs outside give light and oxygen and beautiful views. A unique experience for the adventurous. 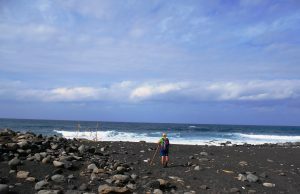 Exhausting hike for strong nerves hikers in the impressive and bizarre Anaga Mountains. 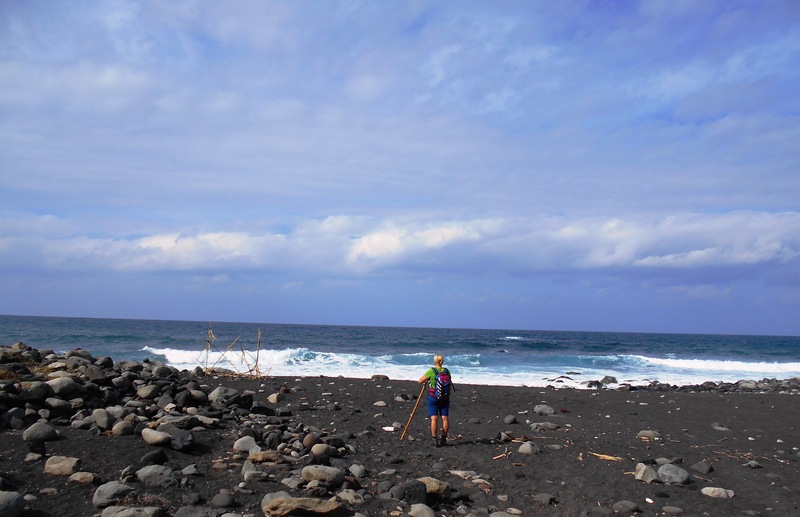 A demanding tour from Roque Taborno, the “Matterhorn of Tenerife”, to the lonely Playa Tamadite. Surefootedness and head for heights are essential for a dizzying descend on rock cliffs and an old, steep uphill path of shepards. Thrills and excitement are guaranteed. 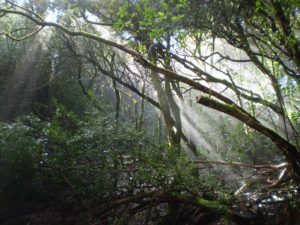 You are rewarded with fantastic views, which can be an unforgettable experience on this contrasty hike. At least 4 hours of walking at 11km and good 1000m uphill and downhill.